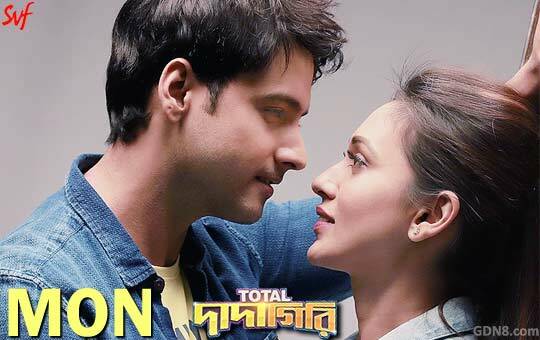 Mon Lyrics from Total Dadagiri Starring: Yash Dasgupta and Mimi Chakraborty Music composed by Jeet Gannguli and Mon Song Lyrics written by Prasen Directed by Pathikrit Basu Presented by Shrikant Mohta & Mahendra Soni. News about Mon Total Dadagiri Bengali Movie Song Lyrics Lyrics: Great news for all "Yash Dasgupta" lovers, He is come 2nd song name is Mon. The lover boy Yash Dasgupta And gorgeous Mimi Chakraborty is the starring Main Lead Role In This Movie. Creative Producer & Styling by Poonam Producer: SVF Entertainment Pvt. Ltd.